A point of time in eternity may be all that life has to give. Coincidentally crossing the path of a siren as a youth can be a harrowing discovery to remember in the dusk of one’s life. Now when celebrities want to relax they aren’t necessarily thinking of themselves as the person you and I see images of. We identify celebrities as ‘imaginary friends’ we’d like to know and hang out with. It’s this image that celebrities develop as another self. Their celebrity is not who they are unless they don’t want to know you. A bad LSD trip sent me to the hospital and, after leaving against medical approval, I lived on the streets where I sought to recover my lost mind. Meditation, yoga, mysticism and religion were each were tasted, swallowed, digested and excreted one at a time to no avail. When I met Joni I had been on the streets for a year and under the delusion that the fates had a woman in my destiny. Crossing the country four or five times, east to west, and up and down the west coast a number of times, I found myself on a nice highway along the California west coast. Two long haired dudes came up to me and asked me to do them a favor. Me? “I have nothing to give but the cloths on my back and this old faded green sleeping bag.” But they looked to be good guys and I heard them out. “We want you to speak to someone, she needs someone like you to talk with,” they told me as we walked up a hill to small modest cottage. So I knocked on the door as the two friendly pipe pipers crouched out of sight grinning together. 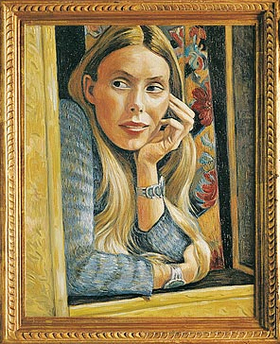 To my surprise, a lovely young blond woman answered with a, “Hello.” It was Joni Mitchell. Not that I knew it was Joni at the time. In fact, for the next 40 years I kept that memory hidden away in the back of my mind where it rested until I started psychoanalysis late in life. You see, since my madman days of 1972 I somehow worked my way off the streets, into college and became an educational psychologist helping bad off kids like I was once myself. Then one day someone at the school district I worked for commented on the lyrics of a song that was playing. It was Court and Spark and the person questioned why “giving up the blues was a sacrifice?” Without hesitating I responded, “It was a sacrifice of playing blues guitar, not the metaphorical ‘blues,’ as in depression.” “How do you know,” I was immediately asked. “I was there,” I responded, shocking even myself! Fearful my recent midlife depression was leading me down a psychotic path, I quickly told my tale to the best psychoanalysis I could find – only to be told I probably wasn’t being delusional. 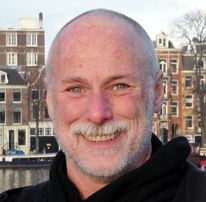 He convinced me to spend some time separating the real experiences of my youth from those I suffered due to psychosis. What if he’s wrong? She invited me in and to sit and speak with her. She explained something about her music and she seemed to muster up enough kindness to want to hear what I said. It’s a very rare moment in the life of a madman living on the street to be noticed for anything besides being a nuisance. Here was a well groomed, laid back and beautiful maiden paying attention to me. “Tell me about you,” she said. It was a very long year. 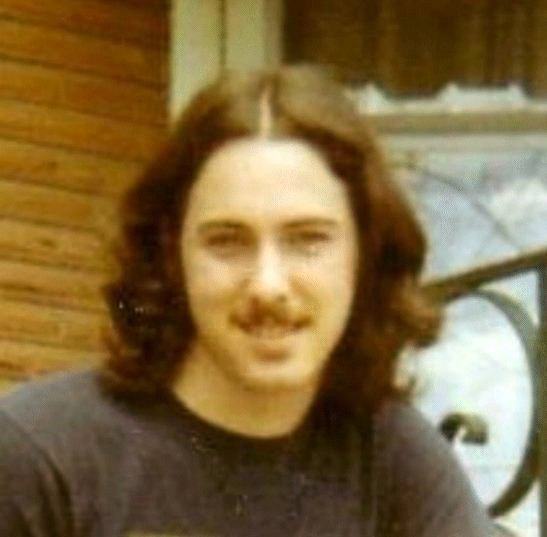 I had left Chicago on New Year’s Day 1972 on my own adventure in finding the answers to life’s questions. My journey led me to the 1st Rainbow Tribe Gathering in Colorado where thousands of counter culture hippies joined in one spirit to be renewed. Having arrived with the setup crew I managed to be a part of the activities preparing the mountain site for a few days of peaceful naked ‘Oming.’ When the ‘no band’ festival began the crowds grew so strong that I could barely breath due to smoke from the hundreds of campfires that now filled the valley. It was time for me to go and I headed out in the middle of the night down the hill and into breathable air again. Like a fish swimming upstream I was headed against the throngs of weekend hippies who had been held back by the local sheriff. Suddenly I was lost in the dark as those trekking up the mountain dwindled to nothing. Not wanting to get lost I stood there silently waiting, in the moonless night, where only the trickling of a little stream could be heard. That was my spiritual moment, being alone, halfway down a mountain top in Colorado were thousand were choking on organic pollution. I was lost to the sounds of trickling water when a loud scream arose from behind me that sounded inched away from my ear. It was! I had become turned around and, in the darkness, I found myself face to face with, what must have been at the time, the loudest screamer in Colorado. Through the starlit trees and bushes I made out a small group of travelers heading out from the gathering, like myself, with a lead female who didn’t expect to run into a fellow fleer on a dark mountain path. Once everything settled down I joined the little crew and we danced down the mountain where a large bus waited to haul us away. Berkeley was a hotbed of political activity in the spring of 1972. I had just hitchhiked there and I enjoyed the pleasant laid back atmosphere of the college town. My life on the street had been more of a spiritual journey than a party. I felt lost in a sea of humanity and thought I needed something. What that something was I didn’t know. I understood wealth alone wasn’t enough for happiness, and I took every chance to show I knew that. Desiring to be free spirited I passed on what was passed on to me. It seemed only right. So I only begged enough to put food immediately in my mouth. In Berkeley, the land of panhandlers, when a guy worst off than me ask for spare change I’d pass my panhandled change on to him. Passing on change was the one opportunity I had for a little grace. President Nixon decided to mine the bays of North Vietnam and the mood on the streets of Berkley suddenly turned bad. Soon cars and buildings were set ablaze and the sound of police rifles shooting rubber bullets pierced the air. A curfew allowed police to beat anyone out after dark, a lesson I learned the hard way. Finding sanctuary in People Parks, which had been retaken that day, I found myself with a pocket of change I had begged when the riot broke out. I dug a hole and buried those coins as a message to the surrounding violence that misunderstanding wealth as an end to itself was a bloody mistake. Nuff said. Attempting to live life by fate ultimately leaves the suspicious aftertaste that giving up control to another, whether imaginary or real, is not possible without, from the very beginning, the individual having the control to give up. Freedom from being accountable for one’s own actions is like being freed from the truth, which is to be in error. After all, madness is paradoxical, with the crazy ones being the only ones who think they’re not crazy. So as long as I thought I was crazy, I thought I’d be okay. I was told that believing that I was healed, with the aid of the proper deity, was enough for the mind to enjoy the most perfect mental health. I was now free to enjoy life since my ‘old life’ was now as dead as the life of my rebirth. It seemed like a good idea at the time, so I shifted my focus to finding that one person meant for me. Of course, being susceptible to such notions is the fault of the delusional and the romantic, both seeking reasons beyond themselves for love. The only person who can’t look directly into your eyes is yourself. 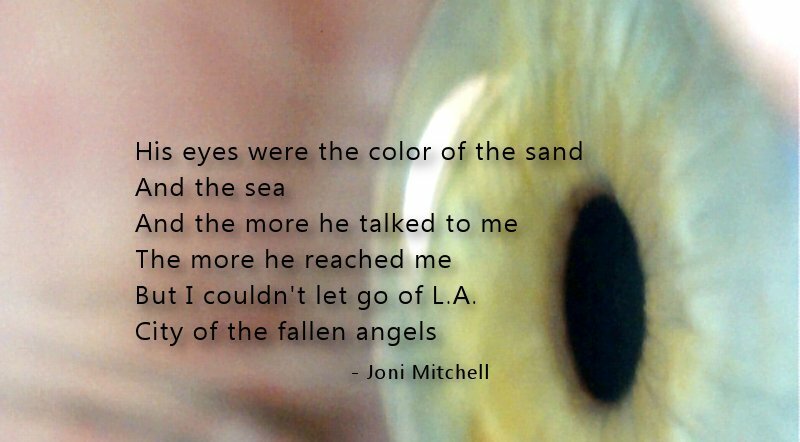 With apprehension, Joni listened with a part of herself that was somewhere far off. Artists of all ages seek out suffering to find the opposing pleasure that drives out the pain. Socrates was said to have questioned poets about the interpretations of their own work. He concluded that artists, as vessels of the mythical, need not understand the message they express. That takes a metaphoric third eye, grown by us, for imagining the truth. What I saw in her eyes was something I had not seen in years; true innocence. Not the kind that was free for the taking, for that would destroy what made it valuable to begin with. No, this was an innocence grown naturally by the suffering of being the sole authority of oneself. Those, like me, who suffered childhood rage, know all too well how this feels and can easily spot like minded people. “Something was off,” I thought. Deliberate mischaracterization of the circumstances doesn’t come as easy to the romantic as to the delusional. Systematic delusions hold together like a geometric tapestry whose every angle is connected at many levels. Romantics find this tedious, but fascinating, as they tend to relate to other’s feelings. But of all the time I spent on the street, I remember well that moment when I looked again into Joni’s eyes and saw a fearful girl who needed love. It was not my style to take charge of fate at the time, and all I had that was worth anything was my ability to play blues guitar. I was headed back to a halfway house run by a charismatic preacher in order to plead for another chance to get off the street. Playing blues guitar was the one dream I had left for myself. My conversation with Joni was brief, as her two male guardian angels where not far away and quickly came to her aid when it became apparent that she found what she was looking for. I was on the street again. I wound up at that halfway house again, and by some miracle, the pastor made one last exception and let me stay. It felt as though I had a guardian angel looking out for me. I now realized that accidental encounter with Joni may have been significant for me even if it went unrecognized most all my life. Having been convinced by my analyst to recount some of my past delusions, I told him how songs like Court and Spark seemed to have been about me. ‘Delusions of reference,’ I had learned to call them in graduate school; thinking songs or celebrities are referring to one. The more I spoke about it the more the memories seemed real. I began to wonder how long it would before I would go mad forever. Then I thought the unthinkable. What if I am the madman of Court and Sparks? There’s no pride to being a madman, mind you, although I’m damn proud of the direction my life eventually took. And not everyone has had a famous scribe recording the adventure of their life. Perhaps, in ways not fully understandable, the delusional and romantic are kindred spirits who create meaning they themselves don’t understand, and only revealed in the fullness of time. After a time I taught myself better reading comprehension skills and then I went back to school, pursued a career, married and raised a family. I began collecting credentials and degrees until I found my place as a school psychologist and getting paid to help students like I was once myself. It was hard – to say the least. I succeeded, but I never forgot what it’s like to experience real need. During the time I met Joni she was struggling through a creative slump. Court and Spark became a turning point in her music and establishing herself as a breakthrough artist while preserving her dignity. Fate has been good to her in this way. Joni did find herself in the role of mother and grandmother when she met the family she thought she’d never find. In the process of giving up the romantic notion of one destined mate meant for her, Joni won the love of the world with a siren’s call that mesmerized all that heard her voice. Looking back, it was I who found lifetime love and raised two wonderful daughters. I sometimes wonder, maybe as a delusional romantic, whether the fates picked me, a hopeless madman, to receive the life of love destined for the greatness of someone like Joni. The muses must have told the fates that the pain was necessary so that millions would find solace in the resulting music. Either that or Joni would have raised a large family and the world would of had to suffered the famous “Madman of Blues.” But that’s a different delusion.